Yes, I’m a Red Sox fan and the Yankees definitely stunk up the joint during the American League Championship Series and got swept by the Detroit Tigers, but that is not why I found game four to be entertaining. I arrived home from work and turned on the Yankees game. The score was 1 – 0 in the Tiger’s favor, which pleased me. The Mark Teixeira (No relation!) committed two errors in the 3rd inning, leading to a run. The camera shifted to the Yankees dugout and the two players in the frame were Ichiro Suzuki and Eduardo Nunez. I have to admit that I haven’t watched much baseball this season. I honestly think I only saw 10 innings during the regular season, but the playoffs are a different story and I’ve been watching a good amount of the action. 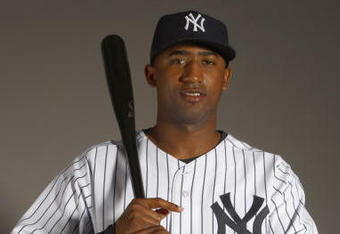 I don’t know much about Nunez, other than the fact that he hit an insignificant homerun in one of the earlier games. 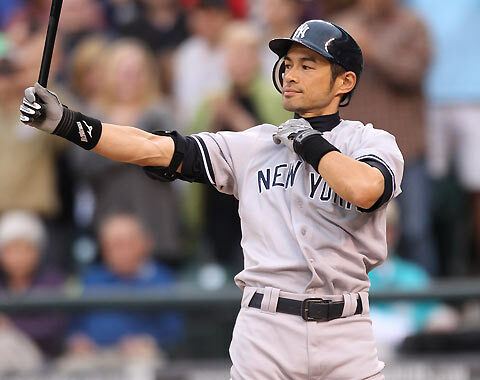 Ichiro, on the other hand, is one of the greatest hitters of all-time. In fact, he holds the record for most hits in a single season (262). Other than being a great hitter, I don’t know anything about Ichiro as an individual. I have no idea what kind of personality the guy has, but I’d imagine arrogance has to play at least a minor role in his makeup. Watching Nunez speaking with Ichiro, my mind immediately went to work. Here is what my mind created as basically every single conversation between Ichiro, the great hitter, and any of his Yankees teammates who approach him in search of some hitting tips. I had to turn the game off for a few minutes, until I cleared my head of Ichiro’s response. I don’t mind when my mind creates such nonsense, unless I’m in public and I can’t contain my laughter; people must think I’m insane! Ju asjol!! Hou der ju mek fun of my pepel?!! Sorry, my brain can be a little racist!